As we go into the final day of testing there seems to be two camps. Those who think we are so far behind that we might as well give up on the season. That once again Williams has failed. The other group seems to have the view that yes the car may not be fast but it is a definite improvement over where we were in 2018 and that it should allow us to see improvements during the course of the season. I fall into this camp. There still seems to be a willingness to compare our times against bigger more well resourced teams that have started 2019 with a car that is helped by having a good 2018 car to develop off. Williams is neither of these. I agree with MikeF1 in that it is frustrating that Mercedes can build a car that is just so much faster even after Week 1 than the FW42. But Mercedes has a staff of around 1500 3 times that of Williams. In today's F1 outside the top three or four teams it is totally unrealistic to have an expectation of a podium let alone a race win. Until they get budgets under control this will not change but that is a subject for a different discussion. 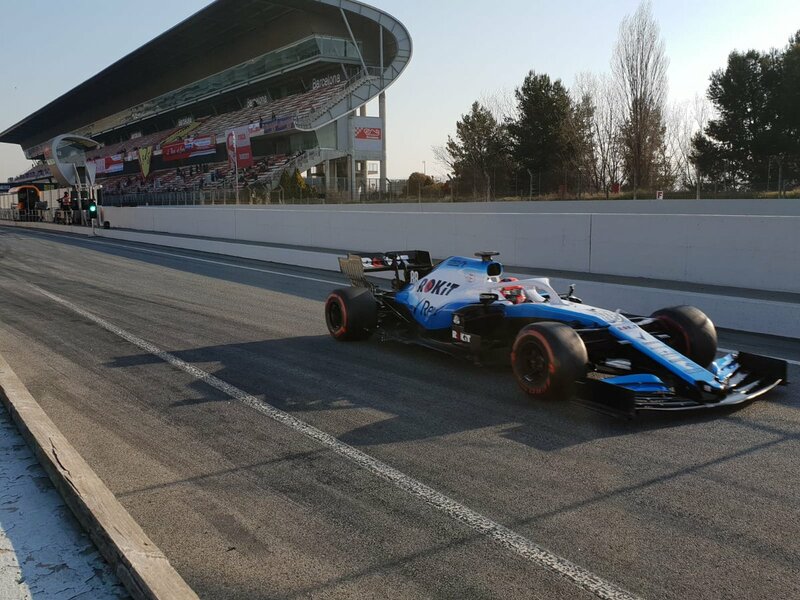 Trying to assess the performance in testing from Williams coming off a terrible 2018 is in my view pointless. I had the view that if we can build a car that is a step up from 2018 we are taking a step forward. Too many people just want instant success. 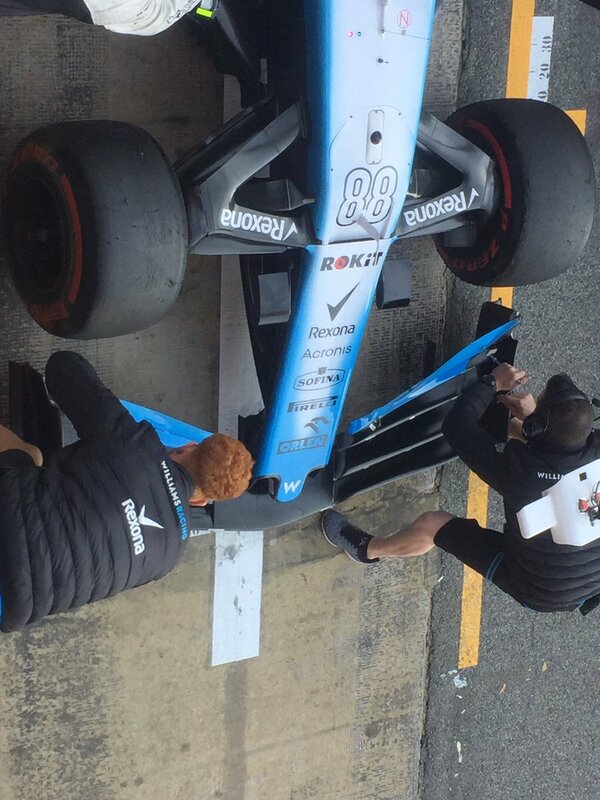 In 2019 you are not going to get that with Williams. 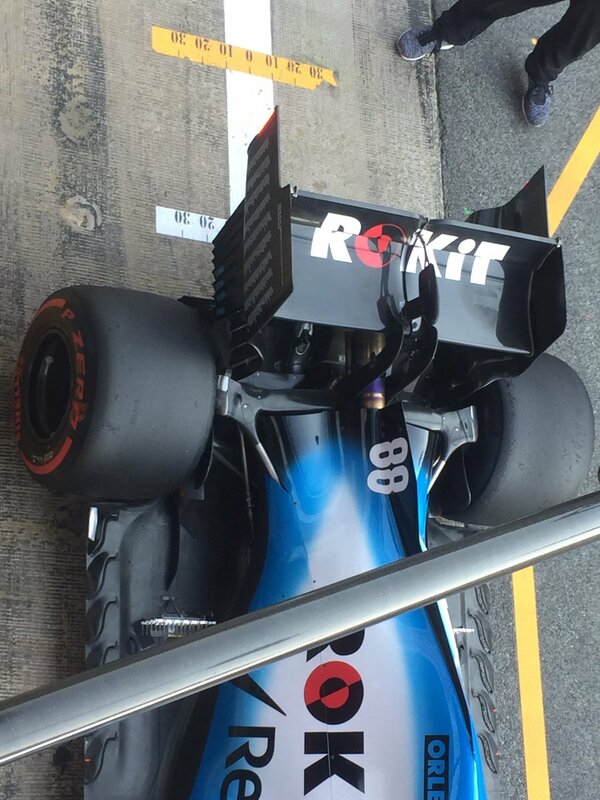 Williams will be fine, they may run at the back initially, but signs point to this car being something they can build on. If the data they are gathering ties up with the simulators and the CFD and whatever else they use to design the car, then they will move up the field and challenge RP, MC, TR at least. Looking forward to it. On so begins the final day and then its off to sort of my time zone for the Australian GP. he pitted and went straight out again 3 laps so far. 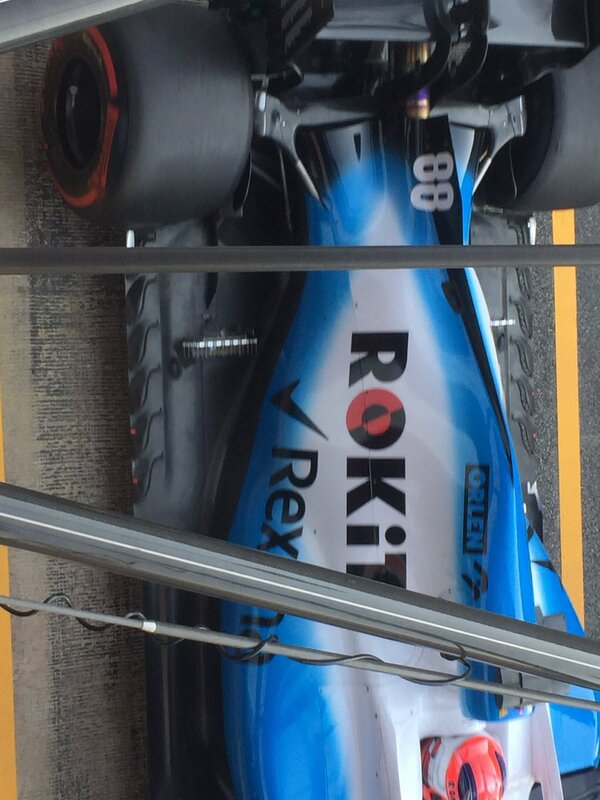 New rear wing endplates with lots of strakes. "If this continues, we'll have the same mileage tomorrow night as we did before the test." Lowe admits, however, that due to the two lost days of testing, the time was missing to work overnight on fine detailed settings. And this is currently reflected on the speed. Apparently the atmopsphere inside the team is much, much better right now. I don't know what camp I'm in. Probably the middle one that can see the pros and cons of the situations because there is definitely elements of both to take away from this test.